W and I went biking the Elroy Sparta trail that goes between Elroy and Sparta, hence the name. We ended up starting in a small town called Norwalk, and the plan was to bike all three tunnels. However, my knee decided to not corporate with me and we only did one tunnel. The old conservation department started to convert the old railroad to a trail in 1965. I think it's pretty cool to bike through a landscape like this, and that it's made so accessible. The trails are in perfect shape. They go through agricultural lands and deep forests. It's pretty cool to see all the design features of the tunnel. 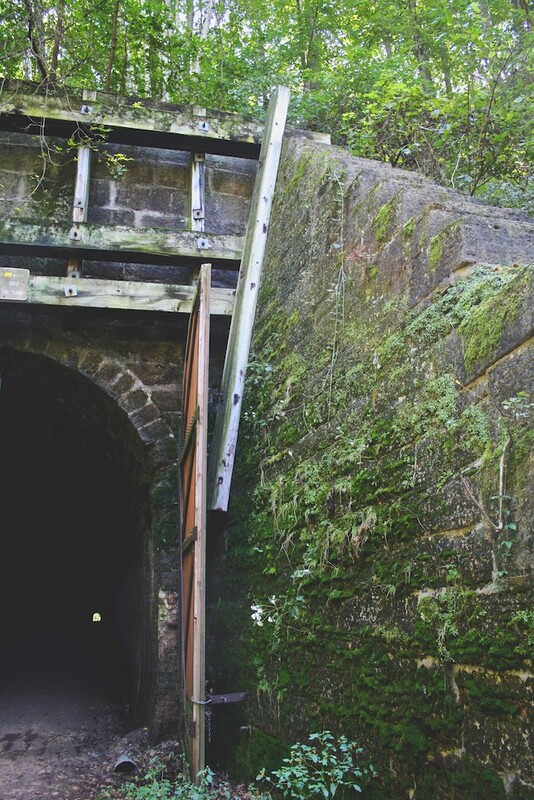 These tunnels were built at the end of 1800, in an effort to keep the gradient down for the trains. Apparently they had to install these large doors because of the temperature differences inside and outside the tunnels (warmer inside and colder outside in the wintertime). Which led to the fact that someone had to be stationed there to open and close the tunnel doors as soon as a train came. 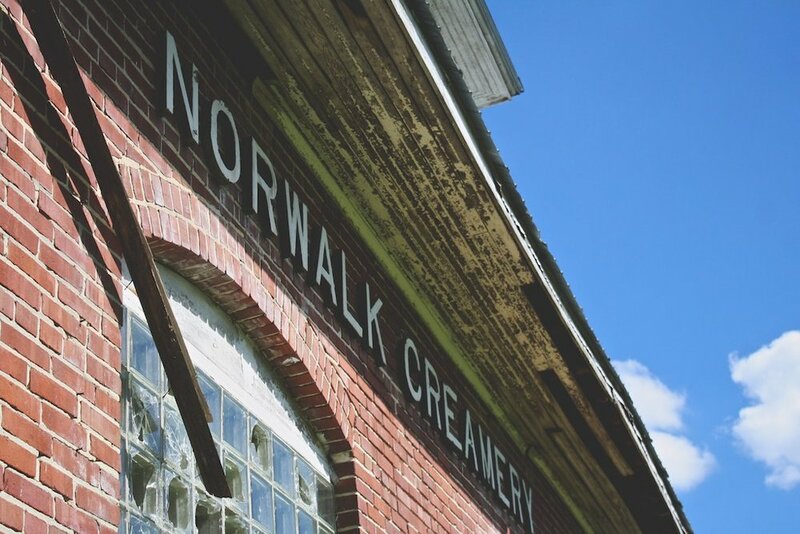 In Norwalk, at the start of the trail, there is this beautiful old creamery. It looks like it's abandon now but I hope that they wont let it go to waste, because it is really pretty! 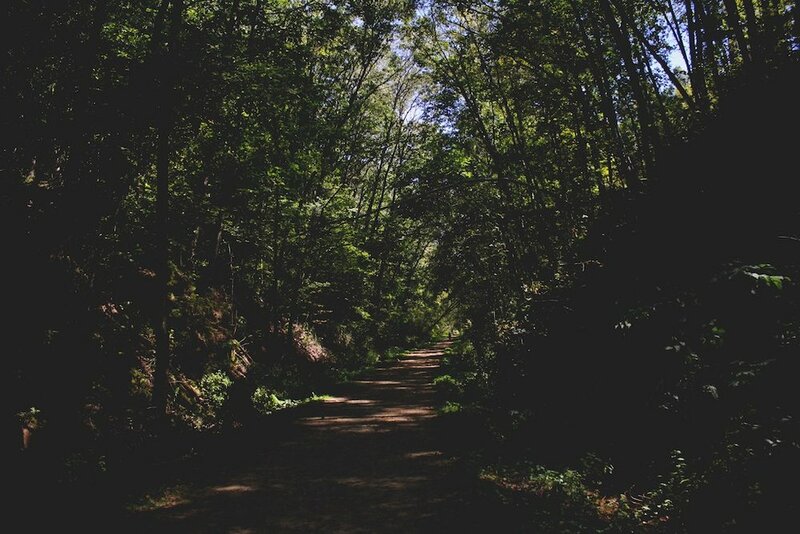 Have you encountered any cool trails lately? Posted on September 13, 2016 by Ann Rumbleinthearctic and filed under Adventure Tuesday, Wisconsin and tagged Elroy Sparta Bike trail biking tunnels Railroad Wisconsin Norwalk Summer Adventures 2016 Trail.